Girl marriages affect a growing number of Iranian children. Its hallmark is lack of freedom on the part of marital partners whose consensual agreement to marriage must be reached at 18 years of age, the age of maturity recognized in international laws for both genders. International laws and human rights treaties and conventions condemn forced marriages, particularly those involving persons below the age of 18. While the Islamic Republic is party to the vast majority of relevant international instruments, some of its national codes and laws legalize forced marriages involving children. This has directly affected a significant drop in the number of children who are deprived of basic rights, most noticeably education. 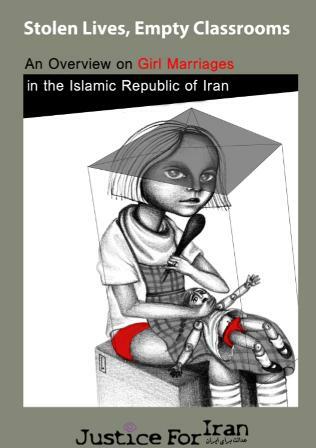 Findings by Justice for Iran indicate that within the period between 2006 and 2012 the number of marriages involving girls below 15 years of age rose from 33,383 to 39,831.